Garret Wahl, Lead Nutrition Clerk at Kroger #753 in Parkersburg, said he was “completely ecstatic” when he learned his job was becoming full-time. Local 400 Led Push for Better Hours, Pay & Benefits in W.V. Sixty-seven Local 400 members working as Lead Clerks at Kroger in West Virginia received an early Christmas present from their Union when they were upgraded to full-time status thanks to an agreement between the Company and Local 400. As of December 16, 2018, all Lead Clerks were guaranteed a minimum of 40 hours a week and full-time benefits, increasing their financial, health and retirement security. 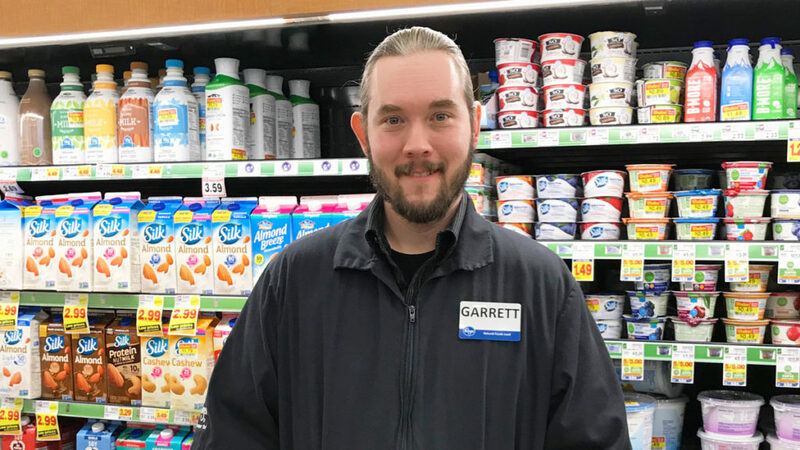 Garrett started at Kroger in August 2018. He was originally hired to be on the night crew, but worked mostly as a stocker until becoming Relief Nutrition Clerk. He was promoted to Lead in December and now is very happy to be receiving full-time pay and benefits. “My union looks out for its members,” he said. Local 400 West Virginia Director Bryan Bond had heard from members across the state that lead jobs deserve full time hours, pay, and benefits and decided to rectify the situation. Kroger management, in turn, recognized that the part-time status of some Lead Clerk positions were hampering the company’s ability to recruit and retain qualified workers and recognized that the upgrade was in its own best interest, too.